Thank you to ALL of our Families who have been making daily donations by dropping off some amazing open-ended materials for the children to explore. The materials we provide in our environments are so important as they should offer endless possibilities and encourage creativity. 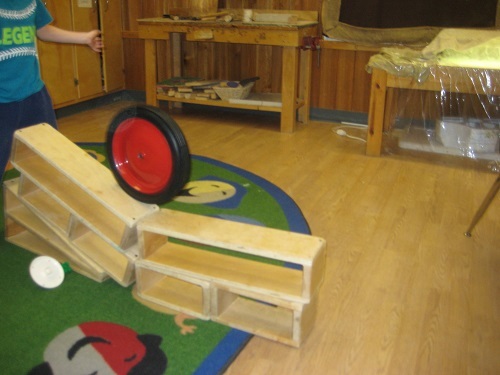 We thank each and every one of you for being apart of this process in donating and giving the children a variety of rich open-ended materials, also referred to as loose parts, to chose from as they learn, create, explore, discover, and construct!! 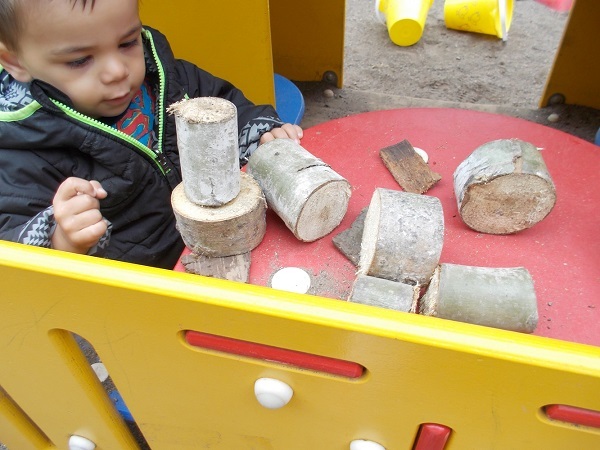 We are always accepting donations of re-usable and recyclable items such as: wood, cork, wood slices and stumps, jars, buttons, paper, ribbons, wire, boxes, pop bottles, juice lids, fabrics and so much more! 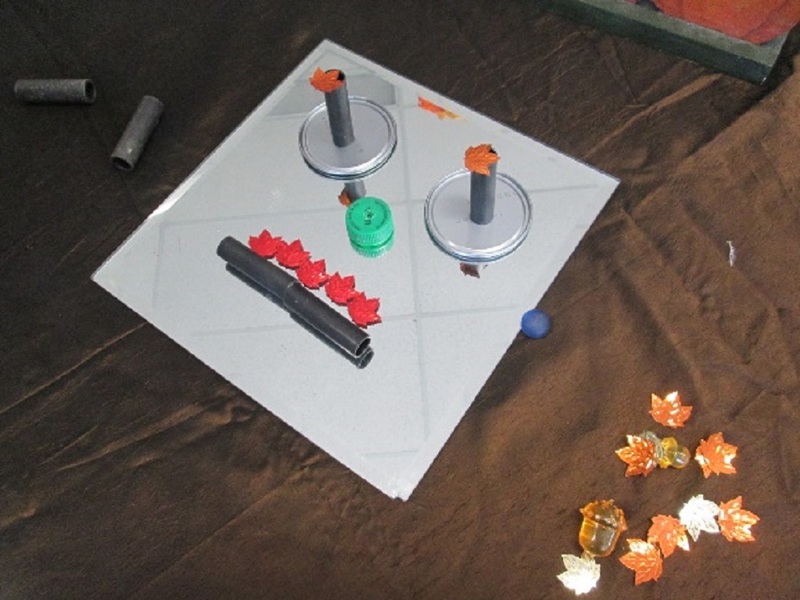 SCROLL DOWN TO THE BOTTOM OF THIS PAGE FOR PHOTOS OF OUR USE OF 'LOOSE PARTS'! Each August we start off our fall time programs with Open Houses at our Grey St. and St. James locations. New and returning families are invited to stop by their registered locations to meet educators, other families and explore the learning environments. Our Open Houses will occur on the last Friday in August from 3:00 - 4:30. Families are invited to come to these events to participate in their child's program and celebrate the children's learning and discoveries! Find out more about what's happening, meet other families, and connect with educators! These events are held 2 times within the year - fall and spring. More information will come from your child's educators. Many of our full day programs incorporate the celebration of each individual child with in their group - referred to as 'Child of the Week'. Educators of your child's program will have more information about this celebration. Families are invited to come into the program to help with the celebration of your child. We have established some wonderful annual events for families to come together and connect. In the winter our Winter Family Get Together is held at Gammondale Farm. We have enjoyed many years at Gamondale enjoying the farm animals, horse drawn sleigh rides, and warming up in the cabin with hot chocolate and munchies. We always sneak in some caroling to celebrate the season as well. In the spring, our St. James school location hosts our Family Picnic. Families from all four of our locations are invited to come together in our beautiful playground to enjoy an outdoor picnic, participate in games, bubble blowing, face painting, music, fish pond and ice cream! In the Past... And more to come! Over the years we have had many special occasions where parents were involved in participating in our programs. 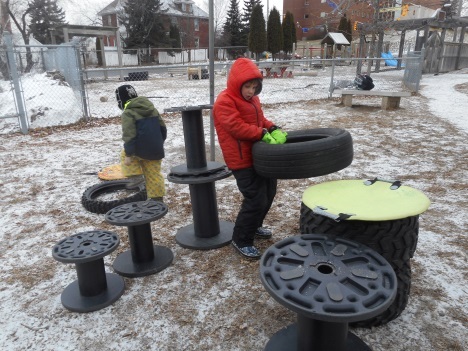 Some of these included art displays in our community, building vegetable gardens at our St. James site, building picnic tables and updating our Grey St. playground, and social events like tea parties, spaghetti dinners, scrap booking and rock painting, plays and talents shows. We look forward to sharing many more special events with you in the future! Family members are always welcome in our programs. Families are encouraged to spend time with us whether it be to read a story with your child before you go to work, paint a picture, share a talent of yours, join us on a field trip, stop in on a lunch hour, help with a project, or just sit and spend time with us! 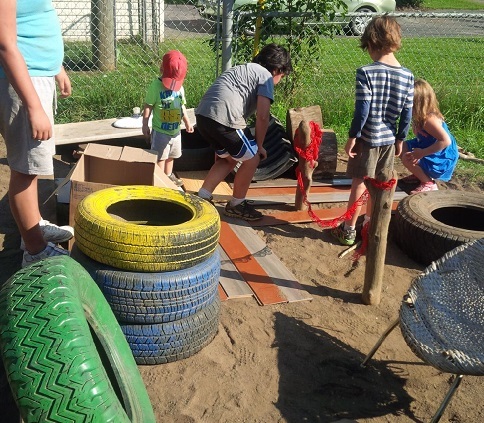 Schoolhouse Playcare Centre welcomes students and volunteers throughout the year. We will review our policy on Supervision of Volunteers and Students, as well as additional policies including behaviour management, anaphylactic policies etc when doing a placement here. Our policy on Vulnerable Sector checks applies to all students and volunteers with the exception of students and volunteers under the age of 18 years of age. Direct unsupervised access (i.e.when the adult is alone with a child) is not permitted for persons who are not employees of this centre. No child is directly supervised by a person less than 18 years of age. Volunteers and students are not counted in the staffing ratios. Volunteers and students are assigned a supervising mentor/staff member throughout their placement with us.